The banking aspirants across India are waiting very eagerly for the IBPS PO exam to make their career with a public sector bank. Students appear in large numbers every year but only few get placed in banks. 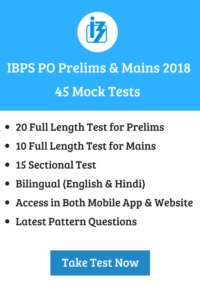 So, here we are providing exam analysis for the IBPS PO exam. This analysis will help the candidates to know the difficulty level, types of questions for each section. Exam analysis is a very important tool to assess the effectiveness of a test. With the help of this analysis, candidates can know the weightage of each topic, marking scheme etc. The exam analysis is available for both prelims and mains exam. The candidates can know the exam analysis immediately after the exam. Through this, the candidates can also know the difficulty level of the exam.